Russian carrier Aviastar-TU commences operation of Tu-204-100C cargo airplanes owned by the Russian Post. 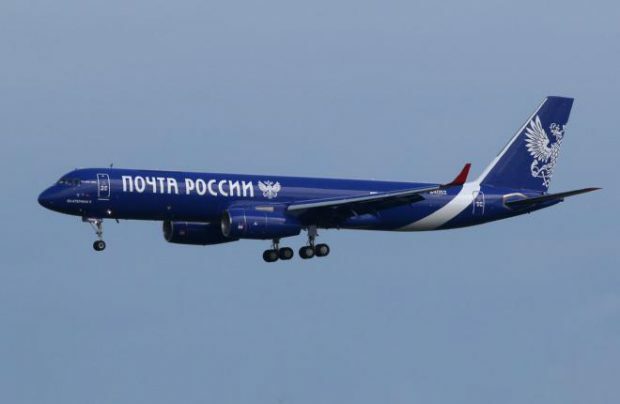 Several industry sources confirmed to Russian Aviation Insider that the Russian Post removed its mail from some passenger flights to Far East in order to ensure sufficient loading for its own operations. The Russian Post’s aircraft, with RA-64052 tail number, made its first flight from Moscow Vnukovo Airport to Krasnoyarsk on Friday, December 2. The aircraft carried about 21 tons of cargo, director of Aviastar-TU Dmitry Kovalenko told the Russian Aviation Insider. After unloading and topping off with more cargo of the Russian Post in the airport of Krasnoyarsk the aircraft flew to Norilsk. Aviastar-TU has also added the second Tu-204-100C of the Russian Post to its AOC. It has Russian RA-64051 registration. Both aircraft were previously operated by now defunct Transaero. The freighters are expected to perform flights from Moscow to Yakutsk and Anadyr this week. Answering the question whether Aviastar-TU can utilize the airplanes of the Russian Post on behalf of third parties, Kovalenko pointed out it is a commercial issue and he is not authorized by the Russian Post to disclose such kind of information. The cargo operator has four Tu-204 freighters in its fleet now. According to Tupolev, Tu-204-100C’s maximum payload is 30 tons. However, experts say the actual loading considering volume-weight characteristics of cargo and mail will hardly exceed 23.5 tons.